The HEAL Maui, Moloka’i, & Lana’i coalition has been busy working on several great projects these past few months and we would like to highlight the work of the four Bachelors of Science Nursing (BSN) Manoa students who have been working with us this past semester in their Global Perspectives in Health course. 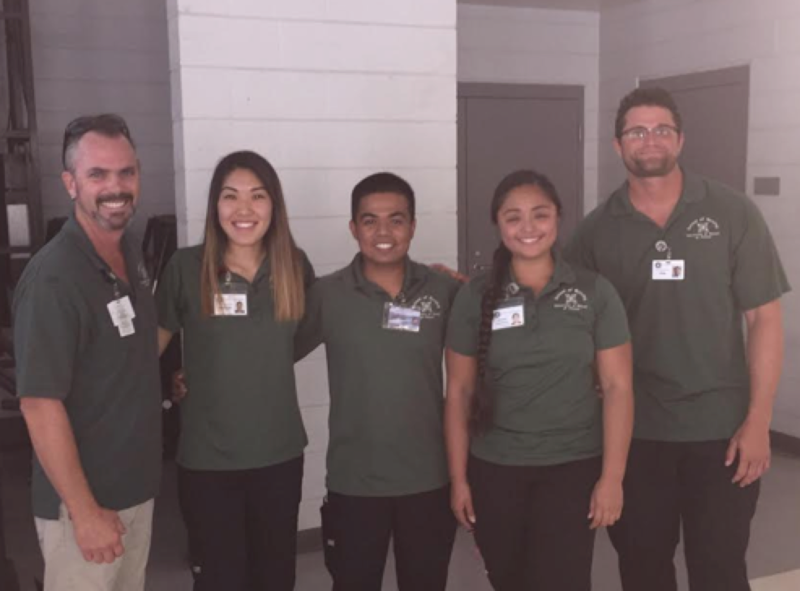 Though they are part of the Manoa program, they belong to the outreach program at UH Maui College and are based here on Maui. Students Guy Haywood, Jeremaiah Leskin, Michelle Joyo, and Sharon Hashimura worked with our coalition to create a presentation and poster boards on Bike and Roundabout Safety as well as worked on creating an alternate parking and walking route for parents and students during drop off/pick up times for elementary and intermediate schools. They also attended various workshops and events over the past few months on promoting the health of the community by increasing the accessibility of walking and biking by altering the built environment design. 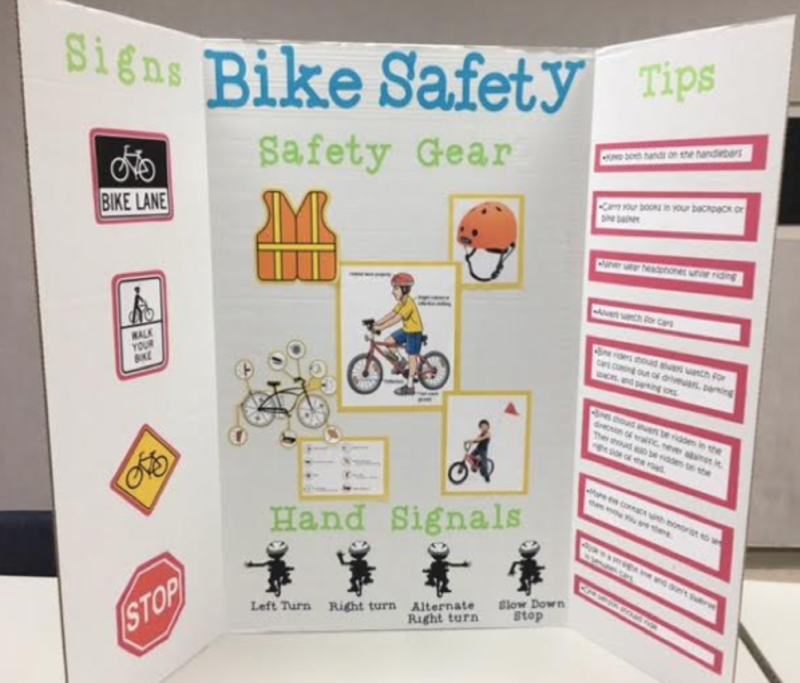 After gathering data and attending workshops, the students created their educational poster boards on bike and roundabout safety to share with the entire 6th and 7th grade classes at Lokelani Intermediate School in Kihei. 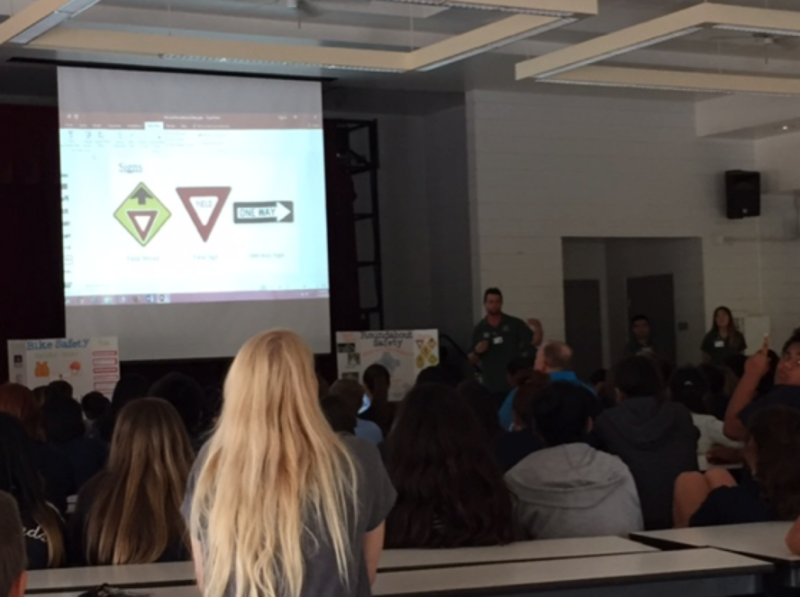 In their presentations they described basic bike safety tips, hand signals, safety gear, and signs to be aware of. A new bike path fronts the school, so informing the students on bike safety is a critical piece for the success of the bike path. 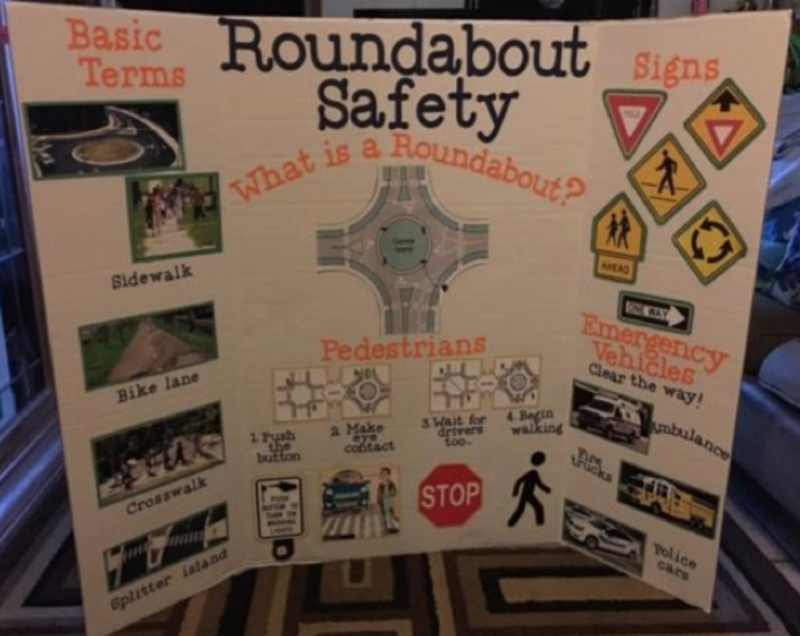 The bike path leads to a nearby roundabout and through observations of intermediate school kids walking or biking home from school, it was made clear that the students also needed education on how to cross a roundabout safely. Below are pictures from the presentation at the Lokelani Intermediate School to 6th and 7th graders on November 29th 2016.